Our first Film Night of 2013 will show "Tabu", a film from the director Miguel Gomes that has won several international awards. Synopsis: Miguel Gomes returns with Tabu, an engaging, provocative and poetic film set both in Portugal and in an un-named African location. Bearing the same title as F. W. Murnau’s classic Tabu (1931), shot in black and white and taking place at least partly in a distant land, Gomes’ third feature film is divided in two distinctive yet complementary storylines. Whilst the first part, shot in 35mm and in the present time, portrays a society wallowing in nostalgia, the second part, shot in 16mm, goes back in time and plays with history, sound, the concept of linear narration, as well as the ideas of melodrama, slapstick, passion and tragedy. Both parts feature Aurora at two different stages of her life: an older Aurora regrets a past long gone while a younger Aurora dreams of a more passionate life. 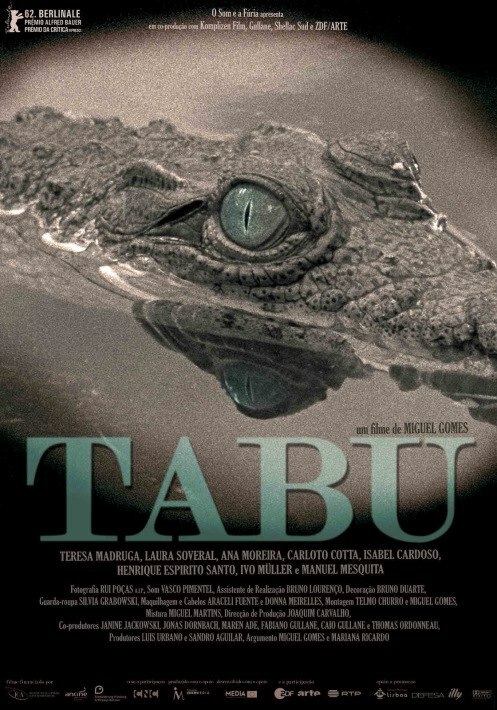 A virtuoso film, Tabu also offers a reflection on Europe’s colonial past. Notes: All foreign language films showed by the CUPortSS are subtitled in English. (Someone from the Society's committee will be at the entrance of the College from 7.15 pm until 7.30 pm and the Porter will tell you where the room is if you're late or can't find anyone). This film looks so interesting.